May was the third round of The Traveling Quilts bee. (You can see more about the bee here, Round 1 here and Round 2 here. 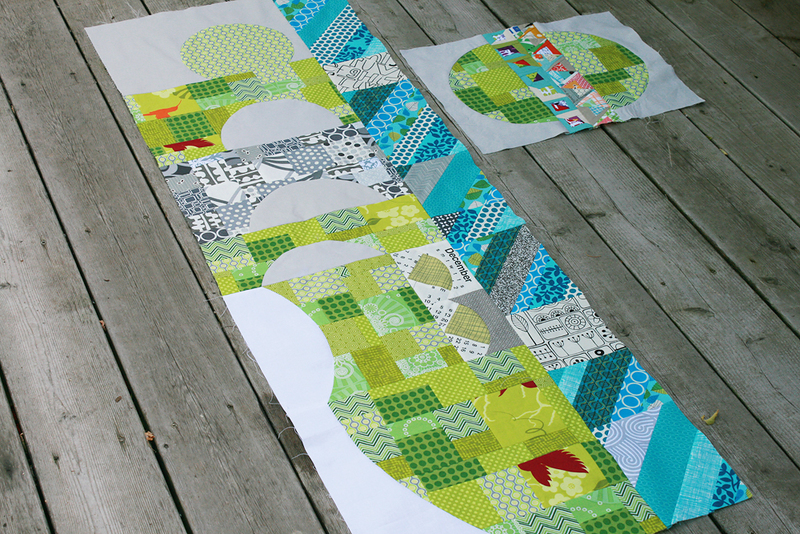 This month I worked on Dan's quilt. 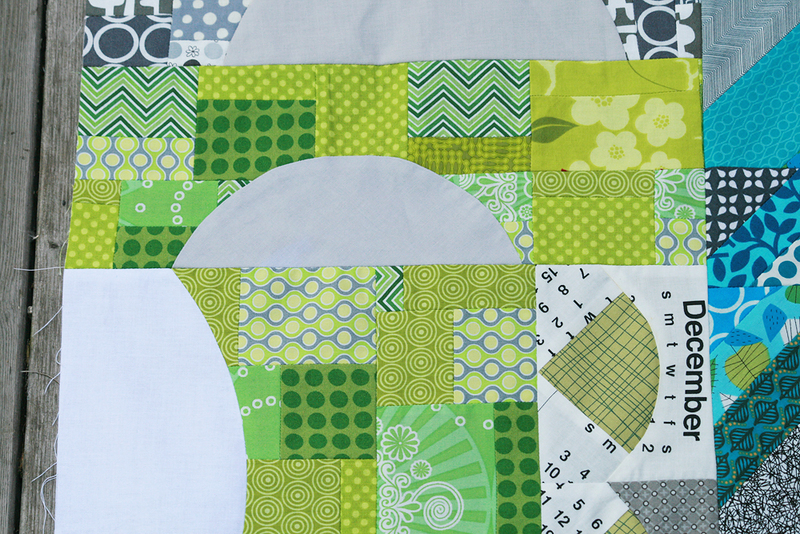 Dan started his quilt with scrappy green circles. In round one, Penny had the guts to cut one of them right in half! (She's cool like that.) Jacquie created a moon rising section of the quilt. 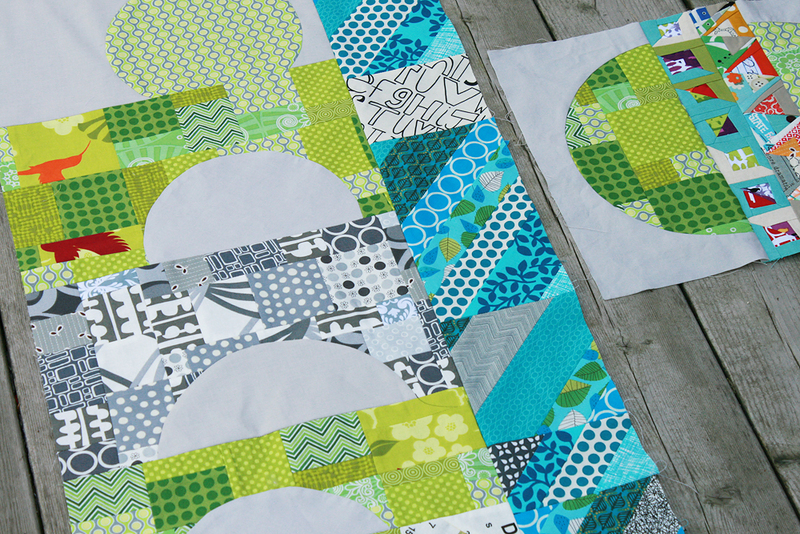 Then for my addition, I added a scrappy section of diagonal turquoise piecing. I actually started working before reading Dan's journal of inspiration, but it all worked out because in his journal, he wrote that he was inspired by Lu Summers, specifically this style of quilt. I think by breaking from the beginning theme of curves, I went in the direction of that inspiration. Also, in a nod to Lu, I add in some of her new fabric line Summersville. Finally, I think the vertical strip of turquoise echo's the vertical strip that Penny added when she cut into one of Dan's original circles. The quilt is now off to Ashley!